PensionBee won the Harvard Business School New Venture Competition and will pitch at the global finals in Boston in April. The competition is designed as a launch pad for the exciting new ventures of HBS alumni, and finalists are selected based on their efforts ‘to solve important problems that will advance both business and society in impactful new ways’. Regional finals took place in cities around the world, from Atlanta to Shanghai. 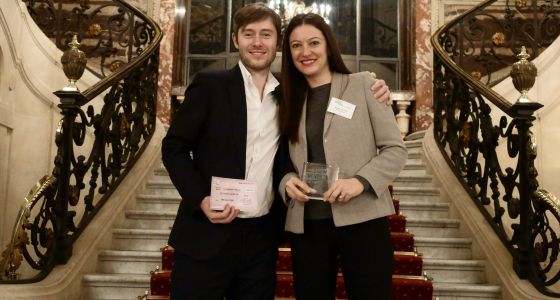 For the world finals, Romi Savova, CEO of PensionBee and HBS alumna, will travel to Boston to pitch PensionBee’s mission of revolutionising the pension industry. The overall winner – chosen by online crowd voting - will receive a $50,000 cash prize and access to investors and partners. Last year, the grand prize was won by Streetshares, an online platform where small businesses pitch for a loan.